New Delhi: The revenue generated by IIT-Bombay in the last three years through research, inventions, consultancy and patents was the highest among the premier engineering institutes, according to HRD ministry data. The Indian Institute of Technology (IIT), Bombay, was followed by IIT-Madras and IIT-Delhi in terms of revenue generated from these sources. IIT-Bombay generated a revenue of ₹17.99 crore during 2017-18 from inventions, research, consultancy and patents. The revenue generated by the institute during 2016-17 and 2015-16 was ₹17.11 crore and ₹10.55 crore, respectively, according to the data. 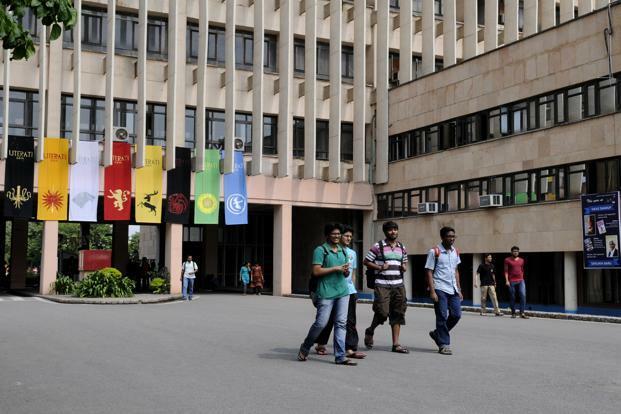 “There is no relationship between the revenue generated by IITs and the annual budget allocated to them by the ministry in the form of grants-in-aid (GIA),” a senior HRD ministry official said. “GIA is given for development of infrastructure and to meet recurring expenses such as salaries, fellowships, pensions and other administrative expenses. “The amount of revenue generated depends on the number of inventions, research and consultancy projects undertaken and patents filed by an institute,” the official said. The revenue generated by IIT Madras during 2017-18, 2016-17 and 2015-16 was ₹11.67 crore, ₹10.87 crore and ₹7.15 crore, respectively. IIT Delhi generated ₹10.61 crore, ₹8.841 crore and ₹7.030 crore during the corresponding periods.